HONG KONG (Reuters) - Beijing Bytedance Technology Co, owner of China's leading news aggregator Jinri Toutiao, aims to raise about $3 billion in its latest funding round that would see its valuation soar to as high as $75 billion, people with direct knowledge of the matter said. The fundraising comes as the six-year-old firm is considering an initial public offering in Hong Kong next year and has been in talks with investment banks for a multi-billion-dollar listing, two of the sources said. How successful Bytedance's fundraising is will be an indicator of broader appetite for Chinese investments amid heightened Sino-U.S. trade tensions and Beijing’s debt crackdown that are slowing the Chinese economy and aggravating tight market liquidity. Fast-growing Bytedance runs China's popular news feed Jinri Toutiao and short video platform TikTok, which was also the world’s most downloaded app in the first quarter. Founded by entrepreneur Zhang Yiming in 2012, Bytedance is targeting a valuation of between $70 billion and $75 billion in the latest fundraising, said one of the people. That would rank it as the world's second-largest "unicorn" - private firms valued at $1 billion or more - eclipsing ride-hailing firm Uber Technologies [UBER.UL] with a valuation of $68 billion and trailing only Ant Financial which was valued at $150 billion after a June funding round. 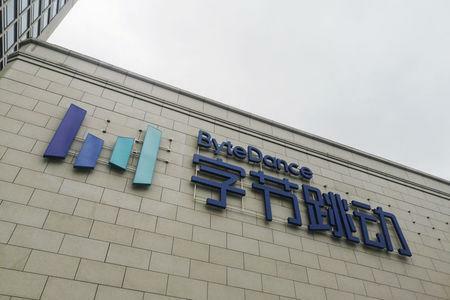 Bytedance counts venture firm Sequoia Capital, big private equity firms such as KKR, General Atlantic and Hillhouse Capital Group as backers, according to sources, but unlike most Chinese startups, it is independent from China's duo of tech heavyweights - Tencent Holdings and Alibaba Group. Alibaba held talks with Bytedance earlier this year about a potential acquisition or investment, but was turned down by the content aggregator, according to two people with knowledge of the situation. Tencent, on the other hand, once owned a small stake in the company and later exited, two separate people told Reuters. Bytedance declined to comment. Tencent didn't immediately respond to a request for comment. A spokeswoman for Alibaba declined to comment. The group's public relations head denied such investment plans in April in a Weibo post. The Wall Street Journal first reported about Bytedance's latest fundraising round. Bytedance was seeking a $10 billion valuation in a late 2016 funding round, sources familiar with the fundraising said at the time. About a year ago, the firm was raising at least $2 billion at a valuation of over $20 billion. The valuation exceeded $30 billion earlier this year and as its new video streaming apps such as TikTok gained user traffic, secondary market trading of its shares would value the firm at over $50 billion or $60 billion at times, according to sources familiar with the trades. Bytedance started from news aggregator Jinri Toutiao, or "Today's Headlines" in Chinese, which uses algorithms and artificial intelligence to select news, online books, videos and other content for readers, with the bulk of its revenue coming from advertising. Since late last year, the firm established another business segment - entertainment, with a number of short video streaming apps and a $1 billion acquisition of popular lip-sync platform Musical.ly, which it shuttered and merged with TikTok last week. Despite its quick success, the company has faced mounting scrutiny from China's internet censors, with Toutiao temporarily taken off app stores for a cleanup in April while a separate joke app was permanently shut.